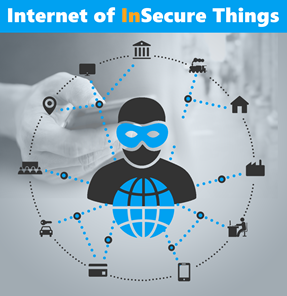 Cybersecurity Webinar Series | Is the Internet of Things a Boon or Bane for Public Safety? Is the Internet of Things a Boon or Bane for Public Safety? The Internet of Things promises so many positive improvements to make our cities “smarter”. Many of these improvements are expected to improve our public safety infrastructure: better traffic flow for Improved response times, better citizen location technologies, predictive indicators for crime reduction, and enhanced surveillance of our public spaces. But too many of these new IoT devices come without adequate cyber protections, making them vulnerable and easily compromised, turning them into cyber weapons for nefarious actors. In this webinar we will focus on these emerging technologies and discuss the pros and cons of a robust Internet of Things. Ultimately, to achieve the intended goals, good planning and careful actions must and can be take.